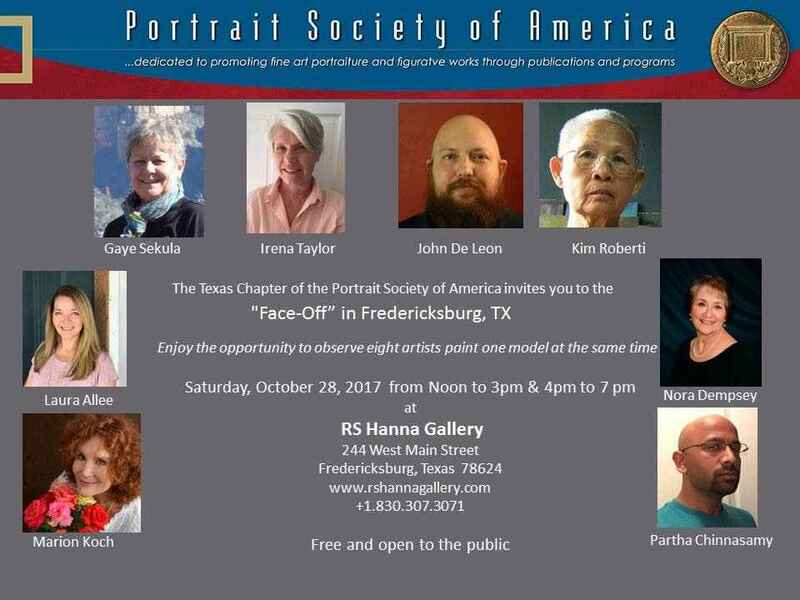 RS Hanna Gallery is proud to host the Portrait Society of America Texas Chapter's "Face Off, Fredericksburg". Come join us, meet the artists and have the rare and wonderful opportunity to see eight artists paint one model at the same time. We're looking forward to a fantastic event with refreshments served and and demonstrations beginning at Noon.